Compare the Macan vs. Cayenne to find out which Porsche SUV is best suited to your needs in Wayzata, then when you’re ready, simply complete our online financing form. This straightforward and secure form will ask you basic biographical information. Completing this form thoroughly and accurately will allow our finance experts to best assist you in finding the Porsche Macan that works for your needs. 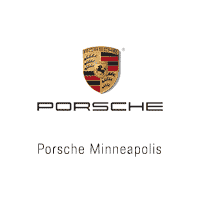 There are plenty of reasons to choose Porsche Minneapolis for your next luxury car acquisition. For one, we offer a vast inventory of new Porsche models. Beyond that, our helpful team will help you calculate your estimated loan payments, value the trade-in estimate of your old vehicle, and walk through the differences between leasing and financing. Ready to get started in obtaining your next Porsche Macan? Explore our lease deals. Then, complete this easy-to-use and secure contact us form. In the message box of this form, simply mention that you’re interested in a Porsche Macan, and that you’d like to test drive, lease, or finance one of our 48 available SUVs. Go ahead and get started today.